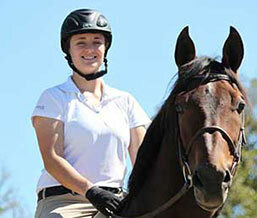 Katie Cook is an avid equestrian, competing on the A circuit in the amateur hunters and equitation. She lives in Newport Beach with her husband and two young children, and can be found at the horse shows in Southern California. After a career in financial services, Cook now feels that working for Equitex is the perfect job for her, as she can combine a life-long love of horses with her passion for style. “Helping clients create a brand, watching their vision come to life and seeing their equestrian businesses grow as a result of the work we’ve done together, is the most rewarding part of this job” she says. 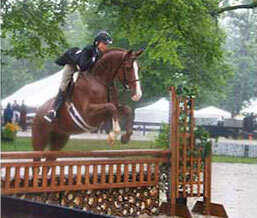 Cook holds a Bachelor’s Degree from UC Irvine, and has won numerous national awards for riding, including 2013 National Reserve Champion for the World Champion Hunter Rider program. Founded by Cynthia in 1985 Equitex was acquired in 2011 by Lixit Products. Cynthia continues to be an integral part of the designs that put Equitex on the map as an outstanding and innovative company. Kerry’s involvement with horses began at very young age. Starting at the schooling show level and moving all the way up to working with FEI horses and everything in-between. She transitioned from the barn to equine sales both retail and wholesale and his been involved in running a large tack store in Ontario, as well as a pop-up store at Spruce Meadows. Now living in Ontario with her family she now spends her time helping clients design custom blankets and tack room set-up. I began riding at 3 years old when we moved to England. My parents relented and bought me a pony, which would inevitably move back to the states with us and live out his days on my parent’s farm in Virginia. I showed throughout my junior career from Pennsylvania to Texas depending on where my father’s job took him. My large pony Split Second was THJA large pony hunter champion and that same year we moved to Virginia. Virginia is like heaven to a horse lover, so I fit right in.I attended the University of Virginia where I was captain of the riding team my last two years. During that time the UVA team won numerous National Championships and I won the Cacchione Cup.A move to California found me showing in the A/Os and I finished Reserve Champion 18-36 in Norcal. After starting a family I was delighted to pass on the love of horses to my two daughters. Logan eventually went on to UVA where she too was captain of the team and brought home the Reserve Champion at ANRCs. Madison continues to show and has been champion numerous times in the children’s and now adult hunters at Woodside and Sonoma Horse Park. I returned to the ring last year and ended up AA 36-49 champion of the state and Zone 3. I had worked with Cynthia many years ago when Equitex was still in her house in San Francisco. 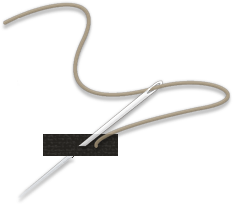 I know the quality of the products and I am proud to represent the company in Virginia. I attend 14 – 20 “A” shows a year so being available to clients is not difficult. I look forward to spreading the brand name and introducing people to the wonderful possibilities that Equitex offers for their barn. complement her other lines of custom products. Currently Carine provides her customers with Fabbri Custom boots, Alessandro Albanese custom riding jacket and Kep Italia helmets. 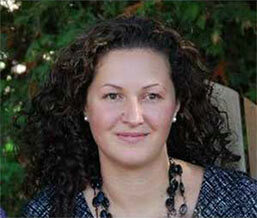 Carine is very comfortable with all custom measuring and loves the custom design end. With the understanding that with all custom products customer service is most important and always makes herself available to meet her clients needs. Carine splits her time living between New York and Wellington FL. 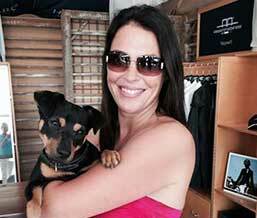 During the Spring Summer and Fall Carine and her Dog Reese can be found at most shows in the North East. 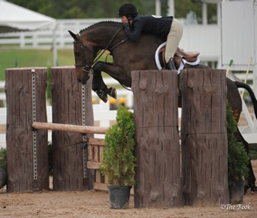 During the winter season you can find them in Wellington FL at the WEF show grounds either in her booth or at the Adult Jumper ring where she shows her horse Chianti. A third generation rider in her family, she first fell in love with horses when she would visit her grandparent’s farm in New Jersey as a kid. Growing up in Malvern, Pennsylvania, just minutes from Devon Horse Show, further encouraged her love for horses and led her to begin pursuing the sport at only three years old. 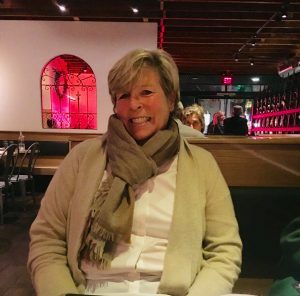 A dedicated equestrian throughout her childhood and adolescent years, Margot trained with several top professionals in New Jersey and Pennsylvania, and shared many successes in the show ring with her horses during that time. Margot currently shows her two horses in the 3’3” Amateur Owners with Redfield Farms. 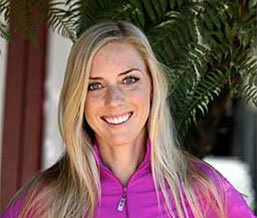 Margot is excited to bring a life long love of horses and design together as she joins the team at Equitex. She can be found showing at working at a variety of shows in the Northeast and In Florida during the winter months. She is extremely excited to work with her clients and help bring their vision for the face of their business at the show to life!